Located in Port Blair (Andaman & Nicobar Islands), Vijayalaxmi Tours And Travels is a prominent tour and travel company that has gained immense popularity in the domain. We are a reliable Travel Insurance Agent also, engaged in providing Travel Insurance to tourists in order to make their travel comfortable and safe. 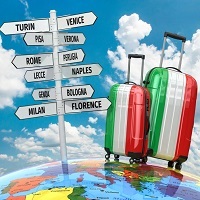 With our offered Travel Insurance, you donâ��t need to worry about the safety of your luggage and other belongings. Stay tension free during your tour by availing our Travel Insurance.